The Bodyguards GL897 Black Nitrile Disposable Gloves (Case of 1000 Gloves) are powder free, nitrile disposable gloves that offer good mechanical resistance. 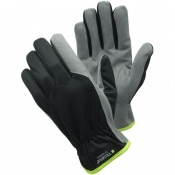 These safety gloves have an AQL rating of 1.5 and comply to Medical Standard EN 455 Class 1. 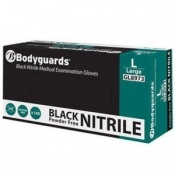 The high quality nitrile synthetic rubber that is used to manufacture the Bodyguards GL897 Black Nitrile Disposable Glove is extremely soft with increased elasticity and an improved feel, yet it still maintains a tensile strength that is comparable to natural rubber gloves.The Bodyguards GL897 Black Nitrile Disposable Gloves benefit from a beaded cuff that adds strength and prevents liquid roll back. Textured fingertips provide enhanced grip whilst still offering maximum sensitivity, dexterity and comfort. 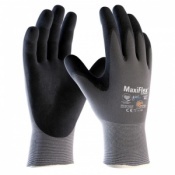 Through this listing, you can purchase the GL897 Gloves in case quantity, getting 1000 gloves at a discounted price. Ideal for businesses such as tattoo parlours, this Bulk Pack allows you to save money on your essentials. 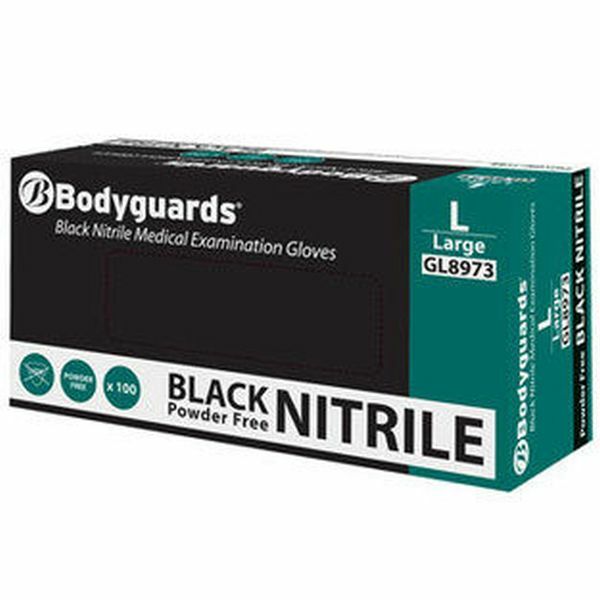 To purchase these gloves in single boxes or applications, specifications and sizing information, please see the standard listing. The GL897 Nitrile Gloves are available in four different sizes as detailed in the table below. For instructions on obtaining the correct size for your hand, please see the standard listing.